Some of the most beautiful fish in the world fall under the category of tropical fish, found in tropical climates and include both fresh and salt water species. When we think of these fish, the names ‘Neon Tetras’ or ‘Clown Fish’ come to mind but one doesn’t normally think just how complicated and diverse their species are. 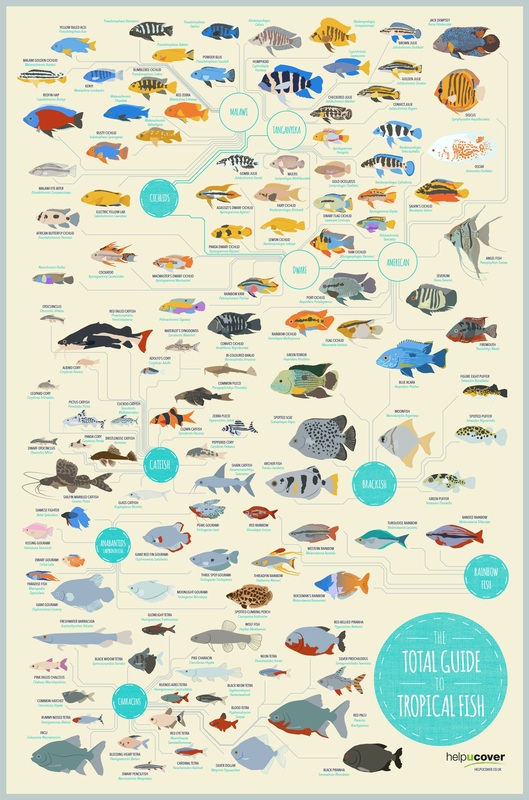 The following infographic by helpucover shows an entire range of tropical fish species and their various families.